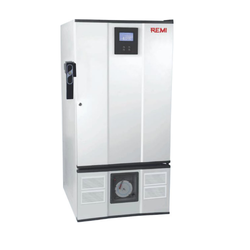 Humidity range: 40 - 95% R.H.
Electrical Connection: 415 V AC +/- 10%, 50 Hz, 3 phase/N/PE or 230 V AC +/- 10%, 50 Hz. · No. 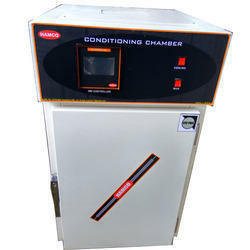 of chambers: One (heating and cooling). · Chamber size: Length 550mm, Height 950mm, Width 550mm. · Inside chamber: Stainless steel grade 304. · Outside chamber: Painted steel of 20SWG. · No. of trays: 3 adjustable stainless steel wiremesh trays. Tray size 530mm x 530mm. Finding applications in areas like seed testing, biological studies, veterinary science, forestry research and pathology processes, these Seed Germinator systems are developed using standard steel, aluminum and other base materials that provide for lasting usage. - Each chamber size : 555 (W) x 910 (H) x 605 (D) mm.